Rankings, based on Joe Pinkos’ Power Ratings, of Florida’s top high school football teams overall and by classification follow. 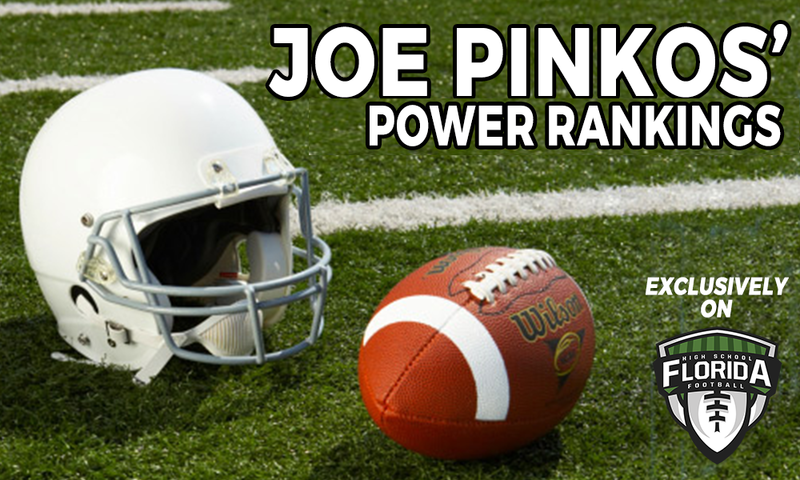 Joe Pinkos’ Power Ratings are calculated by a formula based on strength of opposition and margin of victory with greater weight given to recent games. To determine the forecasted margin of victory between any two teams, simply figure the difference in the respective power ratings. FLORIDA’S POWER 25 listings show rank, team, record and classification in parentheses, and power rating.